The onset of 2018 brought growth to the Denver metro and Boulder luxury housing market, according to a December luxury market report, prepared by LIV Sotheby’s International Realty. In addition to LIV Sotheby’s International Realty capturing the top five luxury home sales in Denver metro in the month of December, the brokerage reported increases in both sales price and number of properties sold. Based on consumers’ continued confidence in investing in the luxury real estate market, both the Denver metro and Boulder luxury markets are positioned for growth in the new year. 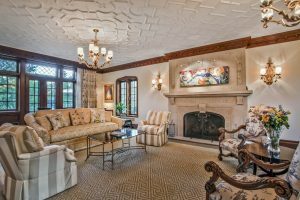 In Denver metro, the number of luxury homes sold demonstrated increase year-over-year, with 104 homes with a listing price of more than $1M sold in December 2017, over 90 sold in December 2016, a 16% increase, according to data released by LIV Sotheby’s International Realty and based on information from REColorado. New inventory increased 87% year-over-year with 88 new listings entering the Denver market in December 2017, compared to only 47 new listings in December 2016. The Average Price per square foot also increased, up 4% year-over-year, from $420 in December 2016, to $439 in December 2017, indicating a competitive luxury marketplace. LIV Sotheby’s International Realty was credited with capturing the top five luxury home sales in Denver metro in the month of December, indicating consumers’ continued desire to invest in luxury real estate in Colorado, and confidence in working alongside a globally recognized real estate brand when purchasing a luxury home. In December, LIV SIR broker, Jeff Hendley, represented the most expensive residential sale in metro Denver; a 10,067 square-foot residence located at 575 Circle Drive, that sold for $6,500,000. Following that sale, LIV Sotheby’s International Realty brokers, Josh Behr and Linda Behr, represented the next two consecutive top sales; 1 Cantitoe Lane and 22 Cherry Hills Park Drive (both in Cherry Hills Village and selling for $4,250,000). Following that sale, LIV Sotheby’s International Realty brokers, Jared Blank, Steve Blank, Douglas D. Kerbs, represented both sides of the sale of 25 Downing Street #1-1201, for $3,750,000. Lastly, Bob and Nancy Kosena, of LIV SIR, represented the sale of 4801 Preserve Parkway, Greenwood Village, that sold for $3,182,000. In December, the Boulder County luxury real estate market demonstrated a 15% increase year-over-year, with 479 homes selling in December 2017, compared to 417 homes sold in December 2016 (information from IRES, LLC). Year-over-year, the number of new listings also increased, rising from 820 new homes listed in December 2016, to 909 new homes listed in December 2017, a 11% increase. Average sales price held at $1.5M year-over-year. The most expensive residential sale in December, in Boulder County, was a 9,718 -square foot residence located at 9253 Blue Spruce Lane, Niwot, CO, that sold for $2,350,000. To access current market reports, visit www.coloradomarketreports.com. To list your home for sale with LIV Sotheby’s International Realty, please visit www.livsothebysrealty.com or call 303.893.3200.